The rise of the gang and violent crime has been noticeable in Farmington and throughout the state. According to officials from the Police Department, there are two major contributing factors. When most people think of gang crime, they typically envision violence in the streets of major inner cities, such as Los Angeles and Chicago. Unfortunately, gang violence goes beyond America’s cities. It has even spread to the suburbs and even places where you would least suspect. According to the FBI and the U.S. Attorney’s Office, gang crime has increased steadily in Utah. 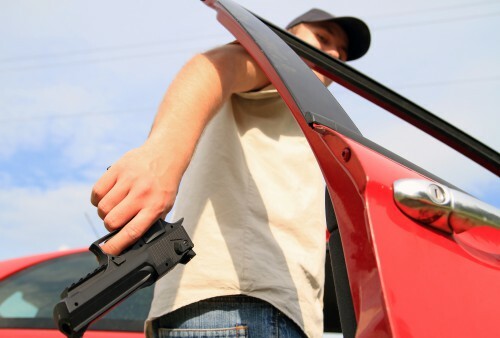 Statistics show the amount of drive-by shootings is projected to surpass last year’s total by 94. The last available numbers indicated 88 total shootings at the end of October. Why The Rise of Gang and Violent Crime in Utah? The rise of the gang and violent crime has been noticeable in Farmington and throughout the state. But what are the reasons? According to officials from the Salt Lake City Police Department, there are two major contributing factors–the drug trade and the increase in juveniles getting involved. Some of the suspects are young enough to be in elementary school. According to Salt Lake City Police Chief Mike Brown, the problem does not seem to be getting better. “We’re seeing kids 10, 11, 12, 13, carrying guns, committing crimes,” Brown said at a press conference. “I think there’s something to say that the older generations are getting the younger kids to carry the guns because there may be a lighter sentence. But that’s kind of a false pretense because when you commit that crime, we will deal with it very seriously.” To combat the problem, the Salt Lake City Police Department has already started anti-gang initiatives. The department would not get into specifics at the press conference, claiming they didn’t want gang members to know the steps being taken. Thus far, the department has identified nearly 30 gangs in Salt Lake County, including nearly a half dozen that are home grown. The problem has not gone unnoticed on a national level. U.S. Attorney General Jeff Sessions recently quoted FBI statistics indicating a 7 percent increase in violent crime arrests in the last two years. During that same period of time, the nation’s homicide rate has increased 20 percent. The distribution and use of illegal drugs is not a new phenomenon. However, the types of drugs that are used and sold on the street are contributing to the rise of drug crimes in Farmington. Among the most popular in connection with gangs are meth, heroin and opioids. The use of opioid painkillers such as OxyContin has reached epidemic proportions. Not only are they among the most addictive substances available to public, they are also easy for many people to acquire. Police in Utah are cracking down on violent crimes. Among the biggest targets are those who engage in drug crimes, such as possession and distribution. Just one arrests can ruin your future and ultimately cost your freedom. It is vital to fight these charges as quickly and aggressively as possible. Over the years, Farmington criminal defense attorney Joseph Jardine has utilized an aggressive and comprehensive approach to protect the rights of each client and always look out for their best interests. Whether it is in the courtroom or behind the scenes, he and his staff work diligently to ensure clients are placed in the best position to succeed. To learn more, contact the Jardine Law Offices, P.C. in Farmington and schedule a consultation to discuss your case.